Karina is the Global Head of Diversity and Inclusion at Vodafone, creating and overseeing the diversity initiatives for over 100,000 people. 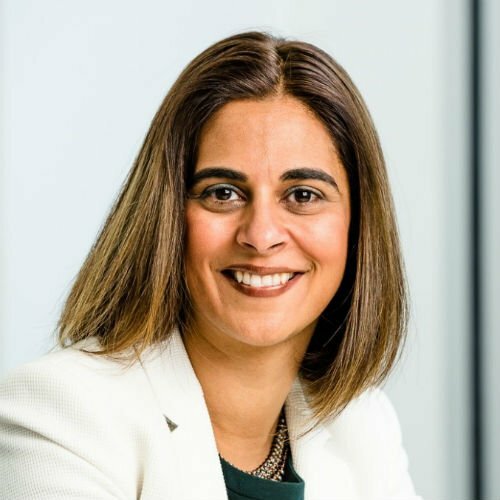 Central to her role is creating an inclusive culture, driving Vodafone’s ambition to be the best company for women by 2025, and maintain a focus on other areas such as LGBT+ inclusion, with Vodafone being recognised as a Top global employer for LGBT in 2018. Previously Karina spent 10 years at Gallup as a successful consultant advising organisations, facilitating thought provoking sessions to executive teams. Karina’s career started with 7 years on the Graduate Scheme at Kingfisher. Karina has a BA Hons in Social and Political Science from Cambridge University and a post graduate Business Diploma from Oxford University. In 2017, Karina was awarded the Power of Women award for Diversity & Inclusion and in 2014, Karina was the winner of the Asian Woman of Achievement Award for Business. Karina is married with now 2 children, aged 15 and 8 years old.